Data and process-driven SEO and digital marketing that drives conversions and builds rank. Contact us for a free consultation. The website optimization tactics we employ enable companies and individuals to achieve optimal placements that stick and generate new leads. We’ve seen thousands of websites, and no one builds them like us. A website built by Complete SEO will save months of promotion and a small fortune in dollars. Our PPC management service enables to bring your business the high converting influx of visitors that your website or landing page deserves. We design and develop WordPress sites with look, feel, customer attention and conversions as primary elements embeded into the design process. Our search engine optimization campaigns are scheduled on a month-to-month, planning campaigns at the beginning of the month, and reporting at month’s end. 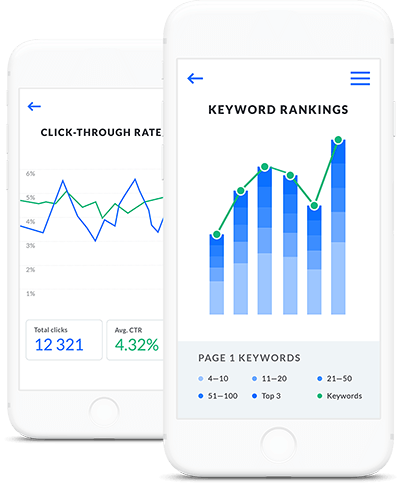 We pull data from search console, analytics, ahrefs, and SEMRush to benchmark where your website is at, general SEO health, and what’s needed to close the gap and crush your competitors. Google ranks technically sound websites. We perform an SEO audit to uncover issues your site may have, present them in a digestible report, and unlike other agencies, we handle them for you. Tuning your website and server to optimize loading times and site-wide SEO. We cull thin pages, attachments, & other harmful URLs from the index, something most agencies miss completely. We build out a comprehensive keyword plan for your market, evaluate the content quality of each page on your website, and put together an action plan for improvements. We optimize for keywords, semantic search, and user experience, coding in keyword and niche relevant metadata and rich snippets to exceed Google standards. We audit local data, citations, Google My Business/Maps, and vertical directories, and then fully optimize listings on over 200 sites, which helps websites move to the top of local and maps results. Link acquisition is the lifeblood of any successful SEO company. We audit competitor link profiles for low-hanging fruit, develop a link building strategy, and start outreach and promotion the first month. SEO and site changes are based on ongoing performance data, allowing our team of SEO consultants make adjustments to improve website visibility and organic search placements. We build links at scale to your key pages in order to increase number of unique referring domains and bolster the overall link profile of your website, which directly correlates to organic SEO gains. We create and leverage content assets to garner links from authoritative websites in your niche, creating maximum exposure and additional link earning opportunities. Ongoing, data-driven content development and link promotion is crucial to maintaining website traffic, engagement, and dominant placements above the competitors in your niche. We’re an SEO company with a track record of success the most competitive verticals on the web. Most of our clients continue with an ongoing SEO program to grow top-line revenue & market reach. I’ve been executing video SEO campaigns for clients for over 5 years. When our usual tactics aren’t getting the results we need, I turn to Complete Web Resources for their unique strategies that take the videos to the next level to outrank the competition. The guys at this company are honest, hard working, and straightforward. They clearly explain their strategy and give updates very frequently. Just overall good people turning out a good service. Highly recommended. What’s Your Austin SEO Consulting Firm Doing for Your Business? While we love architecting marketing campaigns from the ground up, we’re very aware of the staggering number of website optimization companies that overcharge and under-deliver for online marketing services. Our backgrounds running numerous businesses across multiple verticals allow us to say with certainty that we’re the top Austin SEO firm and have the results and case studies to back it up. If your current digital marketing agency isn’t yielding the results you want, give us a call. We regularly manage client campaigns with a past history of search efforts, and we’re experts at identifying technical bottlenecks from outdated search engine optimization tactics. Our search promotion programs focus on technical improvements and making your organic search marketing spend have a rapid ROI. We provide better service for less, without any commitments or long-term contacts; the reason we have clients this month is because we made them money last month. We’re a locally owned and operated Austin business focused on building clients a robust online presence that increases online visibility, drives new leads, improves interactions, and maintains a massive advantage over competitors. We’ve generated millions in revenue in both Austin search markets and nationally. Unlike most firms, we don’t use a standard procedure or “template” for ranking your business; we assess your goals, budget, competition, and existing efforts to ensure that we deliver the maximum value possible to keep you as a client, for life. Whether it’s locally in Austin or at the national level, there are still swathes of search real estate that can be easily won with the right team and program in place. If you want to dominate your market in search, contact us today for a free consultation. We’d love to hear from you. Give us a few quick details via the form below, and we’ll take a look at your site, the market competition, and follow up with a free SEO evaluation.